“…It is hereby declared to be the policy of the United States to…encourage the practice and procedure of collective bargaining and [to] protect…the exercise by workers of full freedom of association, self-organization and designation of representatives of their own choosing, for the purpose of negotiating the terms and conditions of their employment or other mutual aid or protection.”—excerpt from the National Labor Relations Act of 1935. F ederal and state laws guarantee your right to form a union in your workplace. Eligible employees have the right to express their views on unions, to talk with their co-workers about their interest in forming a union, to wear union shirts, to attend union meetings and in many other ways to exercise their Constitutional rights to freedom of speech and freedom of association. Employers often tell their employees that talking about unions at work is against the law, but that’s not true. Talking about unionizing during breaks and lunch, and before or after work is protected activity under Federal law. Federal Law forbids employers from interfering with, restraining, or coercing employees in the exercise of these rights. In spite of these laws, many employers resist their employees’ efforts to unionize. They may threaten to shut down operations and move the work somewhere else just to frighten you. So, before you start talking union where you work, get in touch with one of our Organizers and get the information you need to start in the right direction. Threatening to close the plant or ceasing operations if employees select a union to represent them. Union Organizers are highly trained specialists who assist employees in forming a union in their workplace. 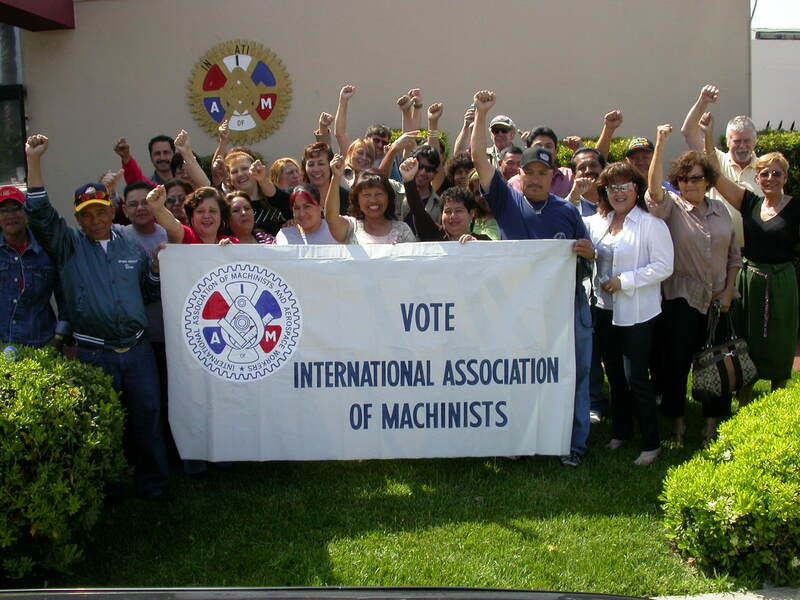 The Organizers coordinate the activity of the employees and interface with the National Labor Relations Board (NLRB), the Federal Agency that oversees most union representation elections. Before an election can be scheduled, the workers must present the NLRB with a “showing of interest” from a majority of the eligible employees. This “showing of interest” is demonstrated by signing a petition or post card. Employee’s signatures are held in strict confidence by the NLRB and the employer never knows who signed and who didn’t. The NLRB normally schedules an election within 24 days of receiving the “showing of interest”. Employers often oppose the workers when they want to unionize. They hire anti-union “consultants”, hold “all hands” anti-union meetings and send letters to employee’s homes. Employers will take every opportunity to express their opinion about unions, and it’s no surprise that they never have anything positive to say. When workers stand strong and stay focused on the issues that brought them together, they will win their election, and begin the process of negotiating their first collective bargaining agreement. If you’re ready to make a difference in your workplace, we’re ready to help. Get in touch with our District 725 Organizers — click here to e-mail, text or call us at the telephone numbers listed on our Contact page. All calls to our Organizers are held in strictest confidence. What have you got to lose? Don’t delay– unionize today!